Did you know your skin is the largest and heaviest organ in your body? Yes, skin is an organ and actually quite an amazing one serving many important functions in the body. Foremost, the epidermis (outer layer) acts as a barrier, protecting the body’s internal parts from the harmful elements of the outside world. This includes cold, sun, moisture, germs, and other harmful substances. How your skin looks also assists your doctor in assessing your overall health. For example, new moles, and changes in existing moles can be an indication of skin cancer. A yellowish skin may indicate hepatitis, or problems with the liver or pancreas. A pale tone can indicate a blood disorder. In addition, skin helps regulate body temperature, plays a role in preventing dehydration, and allows you to feel different sensations, like cold, heat, pressure, itching, and pain. As you age you will notice changes in your skin. It becomes thin, loses fat, and no longer looks full, and plump. You may start to see age spots, dryness, rough/scaly patches, an increase in folds, creases, and wrinkles, more bruises, skin tags, tears, and cancer. These changes are all due to the natural process of aging including losing collagen, along with less elasticity which means the skin is not able to bounce back to its natural, firm state as easily. Furthermore, years of smiling, frowning, and other facial expressions lead to more wrinkles. And, decades of repeated exposure to the sun’s ultraviolet rays, participating or watching outdoor sports, sunbathing, tanning beds, not drinking enough water, stress, lack of adequate sleep, smoking/alcohol, and environmental factors can all lead to dryness, itching, cancer, and the general breakdown of the skin’s structure. Take fewer baths or showers and use milder soap to avoid drying out your skin. Warm water is less drying than hot water. Don’t add bath oil to your water. It can make the tub too slippery. Use a humidifier to add moisture to a room. Wear protective clothing. This will limit your sun exposure and provide a layer of protection for skin to help avoid tears. Clear your home. Since skin tears are often caused by bumps or falls, it is important to keep your environment safe. Make a clear path in your home in high traffic areas, clean up all clutter which poses a trip hazard, and wear non-slip shoes both inside and outside the home. Be careful of jewelry. A watch or wedding ring can cause a skin tear so make sure all care providers remove jewelry when working with senior patients. Although you can’t stop your skin’s natural aging process, these steps can help your protect it. 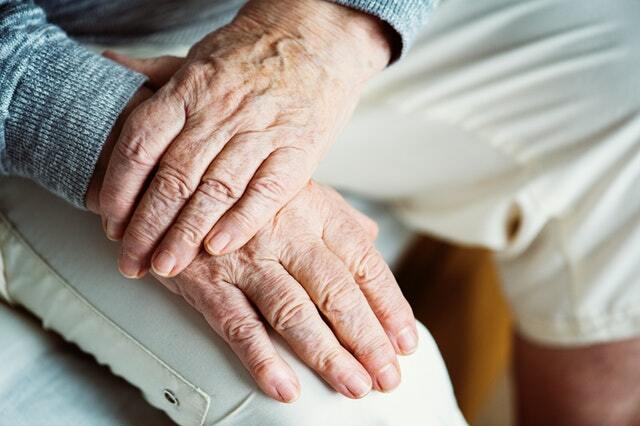 In fact, a recent pilot study by researchers at University of California San Francisco reports that skin damage in older adults can lead to a range of age-related health issues. Although the study is small, it suggests that using a moisturizer every day can lower the skin’s inflammation levels and possibly prevent common conditions in seniors including dementia, cardiac disease, and diabetes.